The Gap Credit Card is the card to have. 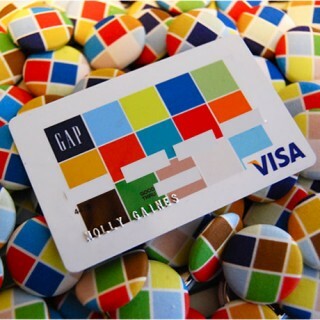 Gap Credit card holders receive valuable member reward points for every purchase that they make. In fact you can earn 1 point for every dollar that you spend anywhere your card is accepted. Because Gap wants to reward shoppers that are loyal to their brands, you can earn 5 times as many rewards points when you shop at Gap, Banana Republic, Athleta, or Old Navy. That’s 5 reward points per dollar spent, and it doesn’t matter if you shop inside the stores, or online, you will be rewarded wither way. Are you wondering what these reward point mean for you, they mean savings. Every 500 points that you accumulate will add up to a $5 savings. The more you shop, the more you save, so you can purchase the latest styles, a comfy pair of jeans, and some yoga pants and earn valuable rewards. What’s not to love about that? The Gap Credit Card also celebrates your birthday by giving cardholders a special birthday surprise every year, and unlike some of your friends, they will never forget your birthday. As a special sign up bonus offer, when you apply for and are approved for the Gap Credit Card, you have will receive a one time savings of 15% off your first gap.com purchase made within 90 days. You can splurge on all the latest Gap styles without having to wait for them to go on sale. You will have continual opportunities to save as a Gap Credit Card Holder. The first Tuesday of every month, you will receive 10% off any gap.com or Gap Factory purchase. That’s a credit card that offers generous savings to their shoppers. The Gap Credit Card is for people who have a credit score of 620 or above, so even if your credit isn’t perfect, you can still reap all of the rewards that Gap so generously bestows on their card holders. Because the Gap Credit Card doesn’t charge an annual fee, you can hold it for years and save money, without having to pay a membership fee. So if you love to shop at Gap, you should reserve a special place in your wallet for the Gap Credit Card. Get 5 Points for every $1 Spent at Gap stores, Old Navy, Banana Republic or Athleta. Get 1 Point for every $1 spent at any other purchases. Get 15% Discount for the first purchase. $5 reward for every 500 Points you accumulate. Zero Fraud Liability and Worldwide Acceptance.